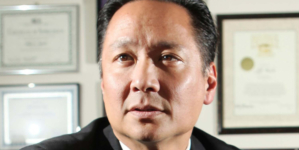 Late Wednesday night, May 23, 2018, I received a message from my friend Tamlyn Tomita who told me to call her back immediately. 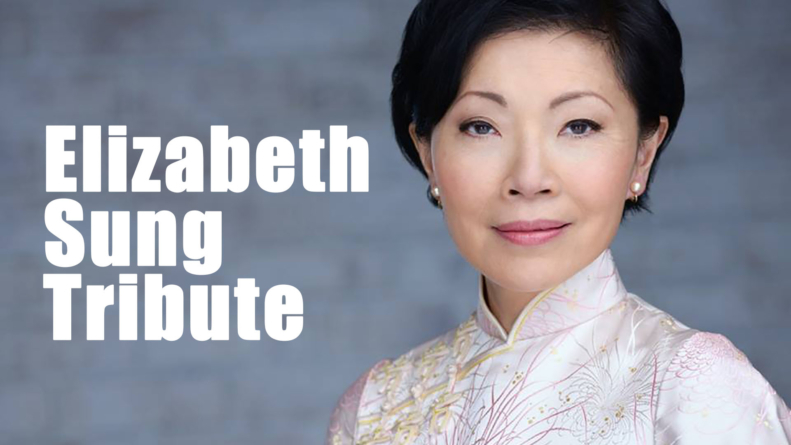 She told me that Elizabeth Sung, the veteran actress who was my friend and longtime collaborator, had passed. I was in disbelief and shock. A few weeks back, Elizabeth told me that she had shingles and might have to scale down her workload on Gay Hollywood Dad as a producer. Tamlyn said that Elizabeth checked into the hospital the Friday before and it turned out that she had an acute form of Lymphoma… and she passed. My mind immediately shuttled me back to the first time when I met Elizabeth and her husband Peter in 1996. I was barely a graduate film student at UCLA. I met Elizabeth and Peter via a friend of mine, Danny Lee, who wanted to introduce me to a working Hollywood actress. We had a pleasant dinner in Santa Monica with my ex-boyfriend Steven, who was giddy about recognizing Elizabeth from The Joy Luck Club. “Quentin, I will be in your movie on two conditions. It must be SAG. And if I book a commercial job on the day of your shoot, we have to reschedule,” Elizabeth said to me firmly when I once asked her to be in my student film. We didn’t get to work together until 2008 when I was making The People I’ve Slept With, but nevertheless we remained friends ever since we met. Between those years, Elizabeth also went to AFI as a fellow in the Directing Workshop for Women where she directed two short films, Requiem, and Water Ghost (with my other dearly departed friend Hiep Thi Le as the lead). 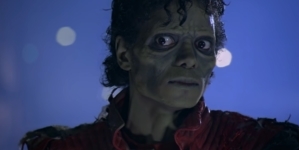 From Requiem, I learned that it was a tribute to her dearly departed gay older brother who died of AIDS. 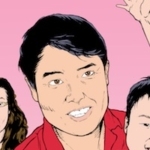 Elizabeth was particularly supportive of Asian LGBTQ filmmakers because of the fond memory of her older brother. Throughout the years, our friendship continued to blossom. We enjoyed hanging out, drinking and working with each other. She played Anna, one of the ensemble leads in my supernatural thriller The Unbidden in 2016. I convinced her to get into producing, so we worked on my web series Gay Hollywood Dad and were about to embark on producing Crossing, the first feature to be directed by Z. Eric Yang. Elizabeth was also going to play the mom of the protagonist in Crossing. And now, that voice who once comforted me was also gone. When Z. Eric Yang and I were interviewing Elizabeth for the documentary Reaching for the Stars about Asian American actors, she said off-handedly that most of the roles available to her tended to be first generation / immigrant Asian characters with an accent. I found that sad and ironic as Elizabeth, like me, was American and had been in America for over three decades. Yet despite knowing her own market limitation, Elizabeth had never stopped working and made a successful career in Hollywood maximizing all the roles she could get. That was something I most admired of her. And she never complained about her limitation or racism in the industry but simply pushed ahead. An immigrant American like me, Elizabeth came to the U.S. from Hong Kong to pursue dance at Juliard and ended up becoming an actress. Even though we had never talked about it, I suppose our similar background was an important connection between us. We knew and understood the struggle as an immigrant in America. She was supportive of Asian American filmmakers because she knew it would be up to us to change Hollywood and create a better future for Asian and Asian American actors and actresses. Nevertheless, she never gave us pressure. Even until her death, she did anything she could to support Asian American artists from tirelessly mentoring young Asian American actors to attaching herself to Z. Eric Yang’s first feature Crossing as an actress and producer. The last couple days, I spent time returning calls and e-mails about Elizabeth’s death. One of her best friends, Lydia Look, invited me to go out dancing at the Abbey last night to blow off some sadness over Elizabeth’s death. I went to West Hollywood and met Lydia on the dance floor. We hugged each other tight and toasted to Elizabeth’s amazing life. I nodded. I knew. We hugged each other and danced on. Earlier today, I went to an ad hoc memorial Dimsum luncheon organized by actress Akemi Look. 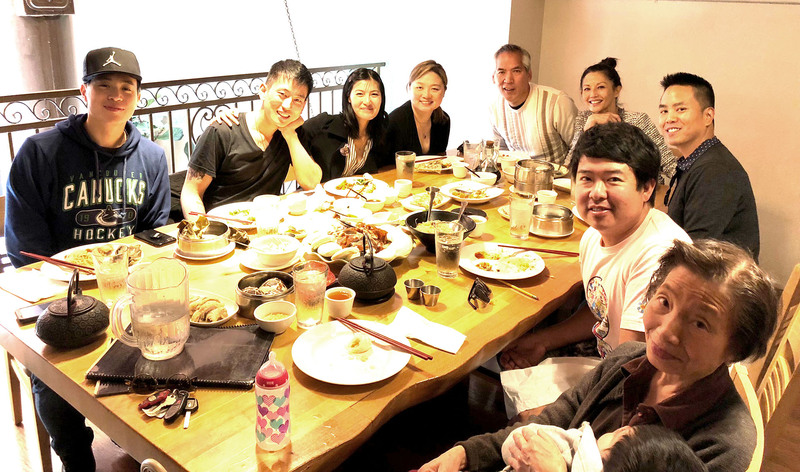 A group of young and veteran Asian American artists, including Jake Choi, Hayden Szeto, Tamlyn Tomita, Harry Du Young, Alex Chu and Bochen Zhang, were having a Dimsum feast to celebrate how we have all been graced by Elizabeth’s friendship and mentorship. In memoriam, my dearest Liz. We love you! CHOPSO has collected all of Elizabeth’s works in a series as a tribute streaming now.